Copyright �2007 PopEntertainment.com. All rights reserved. Posted: September 26, 2007. Brilliant scientist. Guitar hero. Adventurer. Professor�s son. Sci-Fi icon. Runway model. Surf bum. Eccentric. Reputed iron man. Dog lover. Respected actor. Renaissance man. 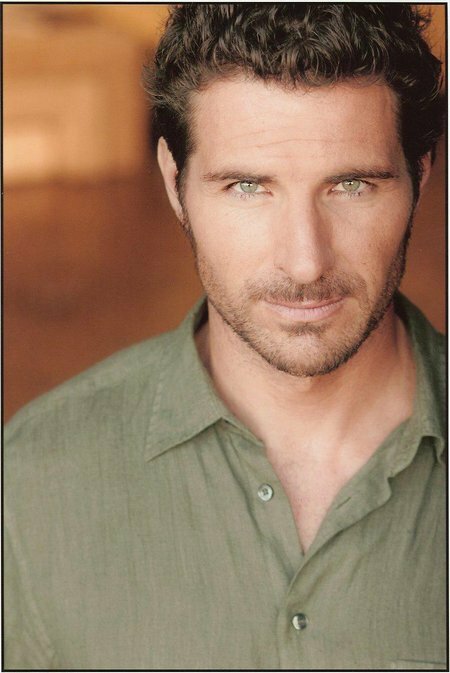 Ed Quinn has worn a lot of hats over the years. In a career (and life) that has been fascinating for its refusal to play by the supposed rules, Quinn has put together an intriguing body of work without forgetting what is really important in life. Quinn grew up in an academic family and he has translated that to a questing, experimental career in which he is willing to take chances and think out of the box to find the most interesting projects. This experimental nature has climaxed with Quinn�s role in the break-out Sci-Fi Channel hit series Eureka. The story of a mythical town populated by brilliant scientists, Quinn�s character of Nathan Stark may just be the most intriguingly ambiguous of all of the eccentric characters. Stark has all the knowledge in the world at his fingers, but he also has his own agendas and can�t quite be trusted. Quinn checked in with us recently to tell us all about his career and life in Eureka. You grew up in Berkeley. That must be an interesting environment to grow up in. Do you think that played a part in you making a living in the arts? You know, it was. Growing up in Berkeley was amazing. It was a really magical time to be there in the 70s and 80s. It was still sort of [like] the halcyon days of the 60s were vividly in the rearview mirror. In time it kind of changed. Well, Berkeley will never change, but there�s definitely been an evolution of the city. My father was a professor at Cal and it was a great place to grow up. I grew up playing music and playing sports and I had just never gotten into acting. You would think that Berkeley would be the kind of place where everybody would be an artist, but the truth is it was a very intellectual city. People are very passionate about everything. People follow their own path. No one from Berkeley does what they�re supposed to do. That�s probably where I got the idea I could come down to Hollywood and maybe make it in acting. You studied guitar with Joe Satriani. How did that come about? 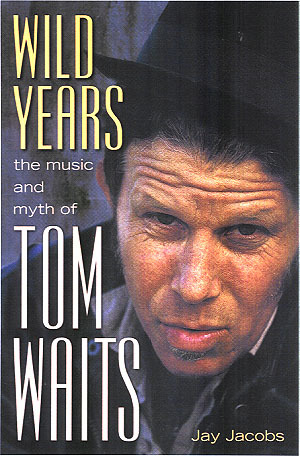 He taught at Second Hand Guitars in Berkeley. Now Guitar Hero is a video game, but back in the early 80s guitar hero was the dream of many young kids � myself included. He was the best of the best, so it was a great pleasure. It was also kind of sobering � to realize this guy was teaching guitar to punk kids like my friends and I. He was better than all of our heroes. That was something to take note of. If you want to make it in music, it�s very difficult. You have had a couple of bands and have done a solo disk as well. How long have you been playing and singing? Is it hard to balance your musical and acting careers? No not at all, because I don�t make any money as a musician. (laughs) So there�s a priority there. The truth is I�ve played music my entire life and I always will. There was a time in which I got paid a bit of money to play, with a kind of a recording deal, but for the most part, I love acting and it is my career. I treat it with that kind of respect. With the looming possible writers strike do you think you will concentrate more on your music? I will definitely concentrate on the music. I�m in the midst of tracking about eleven songs right now. The one thing about my music career is I�ve never ever gotten to put a song out that I was happy with. It was always �we did the best we could.� In one day we were trying to record five songs. Demos, whatever I was doing. Working with a lot of producers, it was always � you know, you�re collaborating, quote-unquote. Collaborating means that they want to write music so that they can get part of the credit for it. In the end always, nothing I ever did I was very happy with. I�d like to do the stuff now that I don�t care. Now that I have a job. Now that I can pay for my own recording. Now I can do it exactly like I want to do it. I definitely will be trying to ramp up [the music.] Hopefully, actually, I just finished � I went straight from Eureka to a movie and I�m going on a little vacation for the rest of September, then from October I want to stop rehearsing it and hopefully be in the studio. When you were young you also lived in Europe as a model. What was the life like there? Was it hard to leave behind? Yes, I based myself out of Barcelona and spending a lot of time in Milan and in Paris. It was an incredible, incredible journey. But by the time I was done with it, I was really done with it. My friend who was over there with me we always joked �oh, yeah, we should go over to Europe now.� It�s probably the last thing any of us would want to do. In your acting career, you seem to get a lot of roles in the sci-fi and horror genres. Is this something you�ve searched out or just the way it�s come up? I think it�s both. I just really love the genre. When you show up and you have a passion for it the people who create projects know that. It�s the kind of stuff that I really, really want to do. So, typecast me all you want� I�m perfect for it. It�s been nice. In fact, right now I�m up for a big sci-fi horror film, which would be a lot of fun, and I�m hoping it will all come together. Then there�s a couple of other things on the horizon that I know are going to come to fruition, but I don�t know if they will happen before the strike or not. The one film you were saying you�re up for � is it still in the planning stages? They�re casting it and they want me for the lead. It�s just going to be a matter of do they want to go that way or not? I�ve already had the meetings with them. I think it�s right out there. Knock on wood. Your first series was Young Americans, which was the spin off of a popular series [Dawson�s Creek] and getting good buzz but the plug got pulled after just like eight episodes. Was that disappointing? Yeah, it was definitely disappointing at the time. It was my first series � in fact it was my first pilot season. I was excited I got a script that was already on the air. So you don�t realize how hard it is to get a show on the air. It was a great show. It was an amazing experience. Unfortunately all the grown-ups didn�t get along, so they cancelled the show. But as far as all of us, we had a great time � a great experience. It was a horizon. Who knows, maybe Katie Bosworth wouldn�t be Katie Bosworth [without the experience]. Ian [Somerhalder] wouldn�t have been able to do Lost. My buddy Matt Czuchry wouldn�t have been able to go to Gilmore Girls. Yeah, I interviewed Matt during the Gilmore Girls years. He�s a really great guy. One of my best friends. We met on the plane to Baltimore. We ended up becoming roommates during that series. We now live about a mile from each other down at the beach here in Southern California. For so long, the only opportunities on TV were the major networks. How has cable opened up the market for shows like Eureka? It�s fantastic, for a couple of reasons. For one, we�re on a small little network called Sci-Fi. But Sci-Fi is owned by NBC, which is owned by Universal, which is owned by General Electric. They�ve got distribution. They can sell DVDs. They have global reach. In the end of the day, you have the visibility to make a great living and be on a show that doesn�t have the kind of pressure to perform that the major network shows do. Our show would be cancelled in a New York minute if we had premiered on any other network. But because we�re on Sci-Fi � we�re the number one show on the network. The other thing is when you do a cable series, you only do thirteen episodes, which means you can do thirteen really good episodes. It will free you up so you can do a film. For me it�s perfect. It�s exactly what I�ve always wanted. To have a good cable series, take chances and be different, build a small core audience and then I basically wrapped late July. I was on a movie immediately. Would I have gotten the film otherwise? They would have had a lot more choices if all those big network shows weren�t going back into production, but they were. So, basically I got the offer. I�ve had a couple of other offers already � a couple of films that I�m passing on so I can go on vacation. (laughs) There�s a lot of work out there when you work on a cable show and you only in production for five months. You get seven months off. Where, you know, Matt Czuchry, for example, he hasn�t done a movie in years. People say, �Oh, why can�t you book a movie?� Well, Matt would have two-and-a-half months off. If the movie wasn�t going to start shooting within two or three weeks of him wrapping Gilmore, he couldn�t do it. It�s hard. It�s a hard schedule, because you never quite know when a movie is going to come up or when it�s going to be done. So, I think cable is just the greatest. You look at the shows on. Battlestar Galactica on Sci-Fi. Look at what�s on FX these days. What�s on Showtime. There are amazing series. It�s a great model. Going back to the networks, just a tiny bit, your character of Frankie on CSI: New York definitely has a lot of interesting levels � starting off as a love interest and ending up as a psycho. How hard is it to get into the mindset of a guy like that? Did you know the turns he was going to take from the start or did it surprise you as the character went on as well? No, I didn�t know it. Anthony Zuiker [CSI: New York executive producer] is just one of the few people in Hollywood who is a man of his word. At one point we thought I was going to get an offer for Detective Flack. Eddie Cayhill ended up getting the offer. [Zuiker] called my manager and said I�m going to put Ed on one of my shows in some capacity. Sure enough, the first episode of the second season of CSI: New York, he brought me in. He said I want you to be a Melina�s [Kanakaredes] love interest. The problem is � Anthony Zuiker is a lunatic. 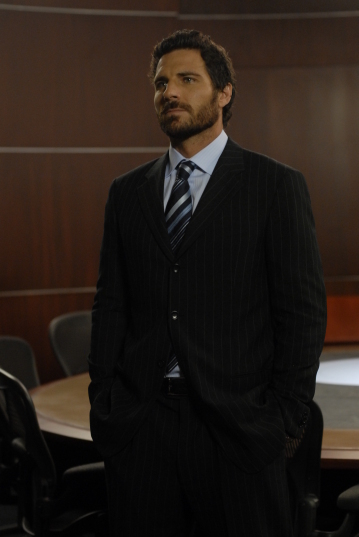 (laughs) So halfway through the season, he came in and he was like, �I got it Eddie. You�re going to go crazy. You�re going to hunt her. You�re going to try and kill her. This is going to be our big finale.� I�m just going, oh� my� God�. You are out of your mind. But, you know, it�s Anthony. He literally wrote and hand-delivered that big finale script to me. He called me on the phone, brought me to the office. He really is just a great, great guy. But it was a hard shoot; because Melina is so wonderful and so gorgeous and so sweet. To have to do that. To have to film those horrible scenes one day. But the good thing was, I literally finished filming that and then two days later drove to Canada to start Eureka. I was able to put it behind me pretty fast. Eureka is such an eccentric show. How much fun is it that you get to play a truly brilliant man and yet show all of the faults and quirks? That�s the best part. That really is the great part about the character. It�s so multifaceted. It allows me scene to scene to make whatever choice I want and try to keep the show interesting. What I�ve found as we film the show and watch it � the more ambiguous the choices for Nathan, the more conflict and greater dynamic it sets up within the show. I do my best to try and keep other characters on the show on their toes. I think the audience really likes it, too. Sometimes I go, oooh, I went a little far with that. I probably shouldn�t have done that so silly or so flippant or so mean or whatever. Then the episode airs and the audience looooves it. They love it. It seems that the second season of Eureka has been more serious and less comic than the first. Was this something that was planned from the beginning or did that sort of come with the direction the show took? I think it was planned. Andrew Cosby, who created the show, left the series. So there was going to be a huge tone shift. I think the creators decided that it was a big hit show and there was a certain importance involved. The show became a very big, procedural sci-fi. A very serious tone, less humor. We were finished the series [at the time that] maybe one or two episodes aired. So we didn�t quite know what the tone of the show is while you�re shooting it. We thought we were kind of still making the show like the first season. The show was definitely very different. It�ll be interesting to see what they decide� I mean I�ve heard rumblings around that there is a pretty good chance we�re going to come back. [ed. note � Soon after the interview took place, the show was, indeed, renewed for a third season by the network.] What are they going to do with the third season? If they are going to continue with the more dark, kind of procedural sci-fi or if they are going to bring it back to the quirky, fun, light summer dramedy we were the first year. I have always been a huge fan of Joe Morton�s. What is he like to work with? Joe�s such an amazing actor. He�s just an amazing professional. He�s been there and done that and seen it all. The reason Joe is so good is Joe works so hard. Never stops reading the script, looking at our character arc, wondering if we�re going with this, we�re going with that�. He�s just an incredible talent. We�re just so lucky to have him on the show. Matt Frewer is great, too, but does anyone tease him with Max Headroom imitations? Oh, you can try to tease Matt all you want, but Matt is just on another planet. I just absolutely love Matt. He�s such a lunatic. We get to spend a lot of time together in the finale. It was just great. It was great seeing him. He only did, I think, four episodes this year. I think that the general consensus is that he should be doing a lot more than that next year, because the show just isn�t the same without him. Do you have any sort of fantasy storyline you�d like to see Nathan involved with? No, not really. I don�t really have those wish lists. I just kind of go week to week�s script and really hope there�s a lot that�s really fun and really grounded and you can have great scenes and great moments. But there was some talk about some different directions the characters take last season and this season. We�ll just see what happens this year. There was a lot of talk about where the character was going this year, and by midway through the season, he wasn�t going there. Actually, every season. He�s a very interesting character. Every season you go in one direction, then all the sudden the writers change their mind and do an about face. It would be really interesting to watch all the Nathan Stark scenes that didn�t air. (laughs) There was a lot of stuff that was cut out because we were changing the storyline. I always thought it strange. I also noticed in your TV guest starring roles you�ve done a lot of comic roles � like What I Like About You, Jake In Progress and According to Jim � I also believe you have a couple of light movies coming up. Do you enjoy doing comedy and do you find it harder or easier than drama? I do really love comedy. It�s a lot of fun to work on a comedy, just because the energy level is so fun and so up. But there is also a great energy level in doing drama that�s a lot of fun. It doesn�t really matter, as long as it�s good. That�s really what it comes down to. You just want the material to be good. You want it to be honest. I always try to bring a bit of humor, even into my serious roles. Once I found I could really execute comedy well, I tried to bring it in to all of my roles. Would you like merge your musical and acting talents in some projects? Yeah, as long as it�s not cheesy. You say that now and I kind of got a bad taste in my mouth. It sounds good, but then you think of Cop Rock. I don�t think so� So those kind of things always seem to feel a little forced to me. I was thinking about something a little more serious, like an Almost Famous�. Oh, that. Yeah, that�s completely different. [However] every time an actor can play five chords on their guitar in their trailer, all of the sudden it�s suddenly the end of the episode, they�re pulling it out and the actor is playing and you�re sort of like: Oh, Lord. I just don�t want to be that guy. The Neighbor sounds funny and has an great cast � Matthew Modine and Richard Kind are amazing. What is the film going to be like? It�s supposedly fantastic. I haven�t gotten a chance to see it because I�ve been working. But it�s been screening. It�s doing really well. It�s up for a couple of film festivals here that I think they are just about to lock down this week. Everybody who has seen it said it�s hysterical. Mich�le Laroque is just phenomal � she�s a French actress. Matthew Modine of course is fantastic. It was a lot of fun to do. It was a great way to start the year. Hopefully, it�ll find a home somewhere. I know this is pretty much in the early phases, but apparently you are going to be in an upcoming movie called The Rainbow Tribe. What can you tell us about that project? Yeah, that�s the movie I just finished. But it was a lot of fun. Grayson Russell from Talladega Nights is the lead kid in it. It�s kind of a Dennis the Menace, Bad News Bears summer camp kind of thing. David James Elliott (Jag) and I had a blast. Really good people. It was a tough shoot, but everybody did everything they could to make the movie better. It�s going to be really fun to see. There were a bunch of rumors out there that you may be in the Iron Man movie. Obviously, Robert Downey Jr. ended up getting the gig, but were you ever in the running or was that just wishful thinking by people trying to get you another character named Stark? I think that was a lot of very kind people out in the sci-fi world. They wanted to make sure it was going to be cast well. By the time people told me about it, they go, �Hey, Ed, a bunch of people are clamoring on the internet that you should be Iron Man.� I called my agent and they�re like, �Yeah, Robert Downey Jr. will be doing that.� I�m like, oh, well�. (laughs) He got it? He�s a famous dude. A famous actor. So I�m probably not going to get that� That was that. What is more of a high � a perfect wave or getting a role? Ooh. That�s a tough one. You know, I don�t think you can even compare the two, because, you know, a wave is just a moment. A storm brews a thousand miles away and a little bit of energy travels through the ocean and it breaks once. Yeah, I leave on Saturday for Indonesia and I�ll be out in Sumatra on a boat trip. But that�s different. The thing about a role is it�s forever, once you do it and you�ve filmed it, it�s out there. It�s something permanent that you can look back on and remember fondly. With a wave, maybe your friends see it, maybe someone snaps a photo, but for the most part that�s just your own private moment. It�s what keeps you driving, keeps you searching for the next wave. It�s not something you can really share or reminisce about. I have a nine-pound dog named Newt. I call him ten pounds of muscle. He�s a little min pin. He�s this little bowling ball, a miniature pinscher. Say we went forward in a time machine like 50 years. How would you like people to see your career? Just when you mention my name, they would go, he�s good. Yeah. He was good. Are there any misconceptions you�d like to clear up? Misconceptions? Wow. (long pause) I don�t know. Not really. I think it�s what you see you get. People who work with me know me. If people are going make up stories about me, it�s like forest fires. You�re never going to put them out. Let them burn out on their own. There aren�t too many rumors out there that I have to track down. #1 � 2007. Courtesy of SciFi Channel. All rights reserved. #2 � 2007. Courtesy of SciFi Channel. All rights reserved. #3 � 2007. Courtesy of SciFi Channel. All rights reserved. #4 � 2007. Courtesy of SciFi Channel. All rights reserved. #5 � 2007. Courtesy of SciFi Channel. All rights reserved. #6 � 2007. Courtesy of SciFi Channel. All rights reserved. #7 � 2007. Courtesy of SciFi Channel. All rights reserved. #8 � 2007. Courtesy of SciFi Channel. All rights reserved.